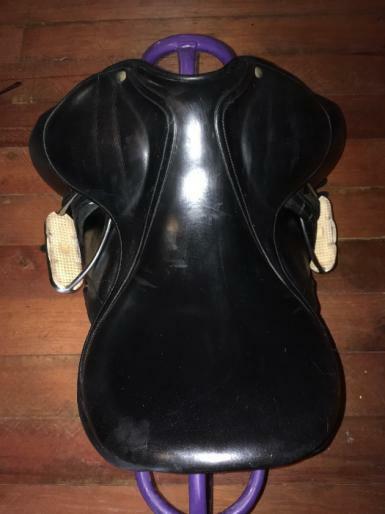 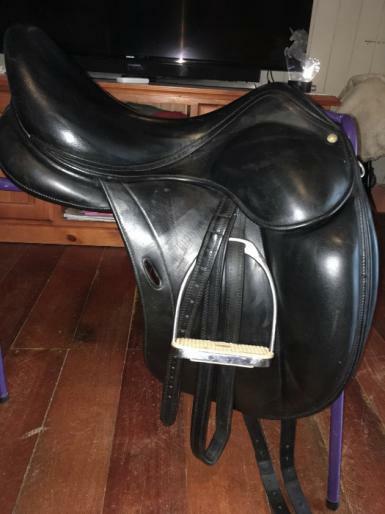 17.5” Wide Gullet impeccable condition Luc Childeric Dressage Saddle. 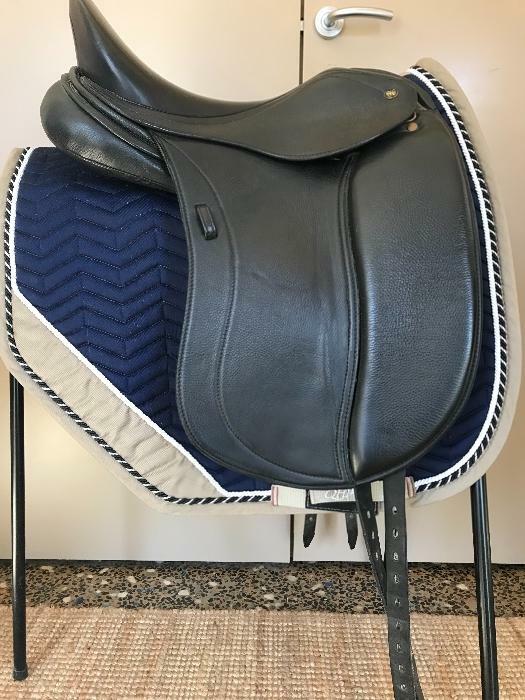 Beautiful seat and soft panels. 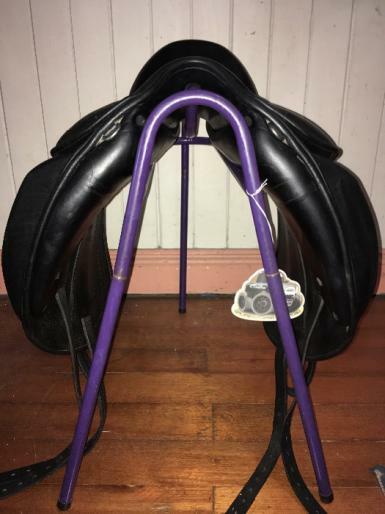 No marks. 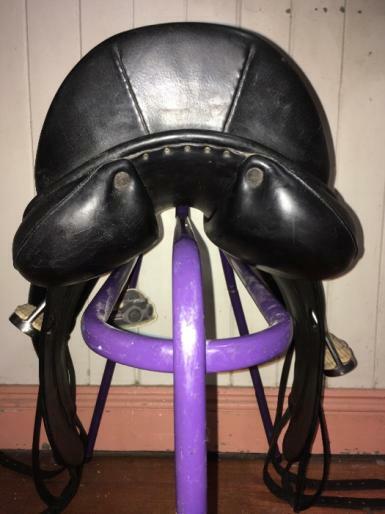 Stitching is in perfect condition. 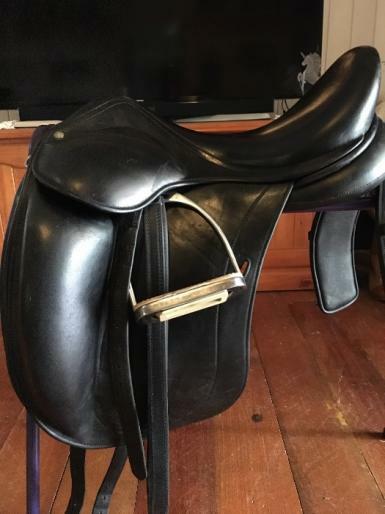 This saddle is handcrafted from the finest buffalo leather.